Doubt...all along this seed of doubt was the reason for such complexities. Wish my (real) father had not doubted Ma's love for him and had gone up to her seeking an explanation. He would have realized why she got married, he would have realized my being....and Life as we know today could be so different. Pa...his reasons difficult to understand...or not...I would be lying if his confession found in that letter... hidden away in the diary, didn't bother me...his reasons from keeping the truth from his dear friend, from Ma, from me...love...love was the reason he gave...his justification. But one can't understand human behavior really...why people think or react the way they do? Leaving from the Golden temple, it just clicked...the next step. I ran through the letters again and went straight to the sender's address. It was Simran I met there. An old petite figure full of life...My aunt, Ma's best friend, his sister. Such a warm and jovial personality, she made me comfortable and I let down my inhibitions and heard my parent's love story as it happened. I also got the sense that she somewhere hadn't approved of the relationship and I soon understood why. My father was a Sikh! The S.S. initials stood for Suraj Singh. My Ma's family a devote Hindu one...Even after years the 1984 Sikh riots had left its bitter after taste in homes...homes which otherwise celebrated each festival together, be it Baisakhi or Holi, but would not let an inter-religion marriage take place...Doubt...the seeds of doubt planted years ago still had their roots in the present society. I begged her to tell me where my father was. She tearfully told me she hadn't seen him in years. For one year she had tried to nurse him back to get on with his life, she had tried hard to make him forget his love. Tired one day she had yelled at him, angry at seeing his brother in such a state was difficult. It took a lot of energy to keep smiling, encouraging and talking to almost a dead man. A mummy. "People laugh at us" she had said mockingly cried that day, "A brother lying dead all day leaving his mess to be cleaned up by his sister. A sister he should have gotten married by now...the village speaks such ill...but nothing matters to you." And that night he had just disappeared. I was dismayed at hearing this. "But surely buaji, there must be some way to find him" I pleaded. She racked her brains and finally had given me a cue my heart told to follow. "I think he might have gone to Dalhousie, one of his army friend stays there. He had no where else to go" she had finally said. It was not much of an effort to find a one Mr. Suraj Singh in Dalhousie...a one with an army background. The cabby was instructed not to stop, not to slow down....we were now just a few hours away from the 'Kiran villas'...I couldn't help smiling at the name of the homestay...he had never stopped loving Ma clearly...her name being the name of his villa. I am taking part in the Write Tribe Festival of Words 8th - 14th December 2013. Day 6 prompt was People! coming closer to the meet-up. Wow. 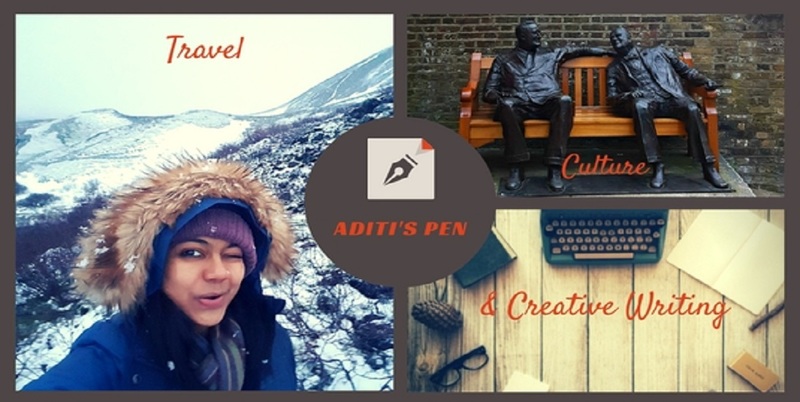 I love how this is going, Aditi! Waiting for the next one! Yes, this is a captivating story. And I agree, the seeds of doubt can lead to a lot of misunderstandings and heartache, so true. loved this part...getting closer to answers :) hey!! what happens next...? :) Preethi thanks a lot!